Cheryl will be teaching ChiRunning at John Fitzgerald's inaugural Tahoe Ultra Camp. The purpose of the camp is to enjoy beautiful Lake Tahoe and the Sierra Nevada mountains by the power of your own two feet, and all at 6,200 feet and above! 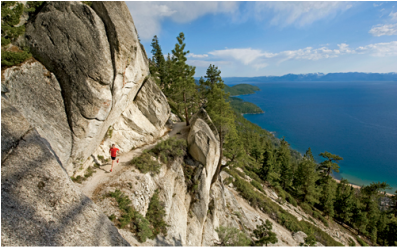 During the camp you will have ample opportunity to improve upon your running skills through specific mountain ultra trail clinics to improve strength and flexibility though core and stretching; increase knowledge of the Tahoe Rim Trail Endurance Runs course and gain experience the beautiful trails of the High Sierra. Run clinics by camp director and Montrail athletes John Fitzgerald and Sean Meissner and ChiRunning Master Instructor, Cheryl Lloyd.